Elissah Bio P2 advanced formulations containing both probiotic metabolites and prebiotics that regulate the balance of the skin microbiome, it will result in fundamentally improving and maintaining healthy skin condition. Enhances skin’s ability to become and stay properly hydrated and the skin immediately looks glowing and radiant. Visibly improve signs of dryness, including a tight, uncomfortable feeling and reduce the appearance of fine lines and wrinkles. Unique formula enriched with probiotics, prebiotics, oat oil, carrot oil to help balance skin pH and protect baby’s skin barrier. Yes, these skincare products are made for babies and toddlers’ sensitive skin. BUT, they work amazing on my 16 year old’s eczema patches on his legs and elbows! AND, I decided that the face moisturizer makes my skin feel amazingly soft and smooth without worrying about breakouts from added fragrances and such. Be sure to read Pam’s review on Mom Does Reviews HERE. Get a 20% discount and FREE SHIPPING to the USA for Alfie Rabbit and Elissah products. Just use the coupon code MOMDOESREVIEWS at checkout. It can be used until June 30th, 2019! You can use it as many times as you want until it expires!! These products sound really great. I have never heard about these products before but would love to try them. Elissah for me please! The pro and prebiotics in them intrigue me! I would love to try them. 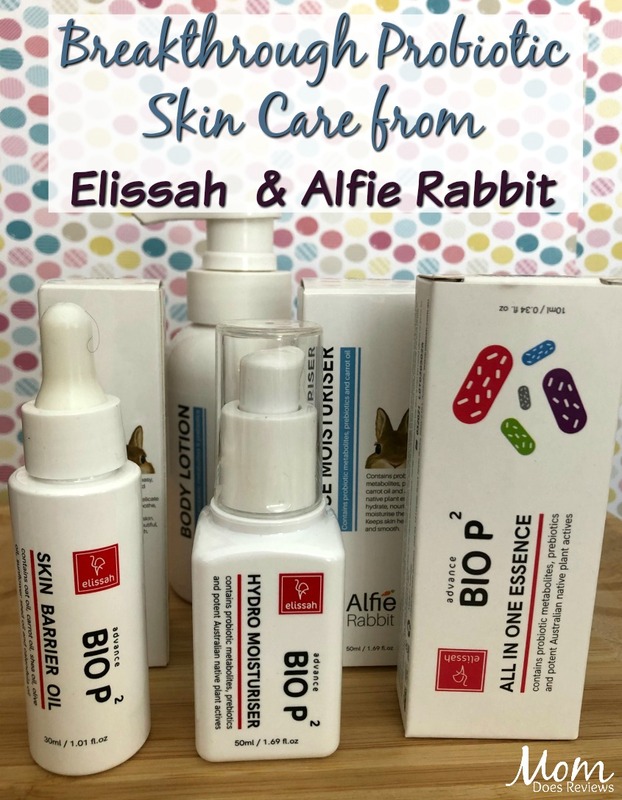 I would like to try the Alfie Rabbit products. I’d love the Elissah Bio P2 Facial Pack. I’m starting to get fine lines and am always looking for new beauty products to try. 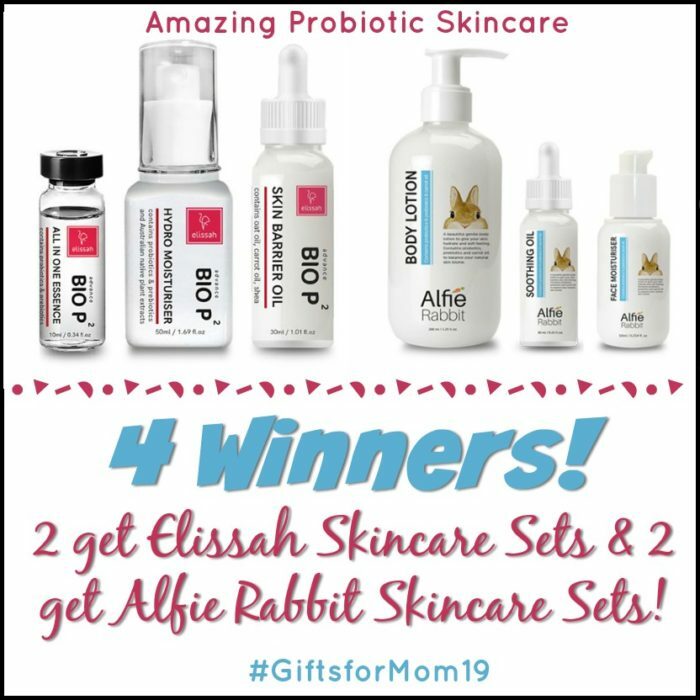 I would be interested in the ALfie Rabbit prize pack. I’d love the Alfie Rabbit! I would prefer to win the Elissah.. I would love to win either prize package! I would most like to win the Elissah Bio P2 facial pack the most. I would pick the Elissah pack. Thanks!